I think the skirt length must be a minimum of 36 inches from the waist to be declared safe. Better still, why not ban skirts altogether? 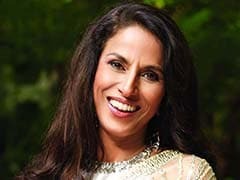 Ace Bollywood choreographer-filmmaker Farah Khan is thankful to her parents for having pushed her to focus on her career when she wanted to settle down and get married at 21. Model-turned-actress Malaika Arora Khan says that production on the sequel of 2010 film Dabangg is in full swing and the team can hardly wait for its release. Actress Sonakshi Sinha going to dance to Munni Badnaam Hui to perform at the IIFA awards that start tomorrow and end on Saturday in Singapore. 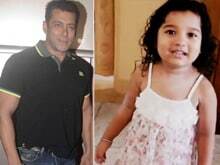 The Dabangg item girl is all set to reprise her Munni avatar in Sajid Khan's Housefull 2. From Sheila to Munni, Kat comes a full circle! In a strange turn of events, Sheila, or rather Katrina Kaif is now set to reprise the character of Munni. 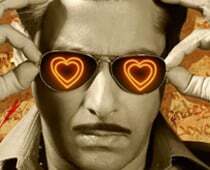 Salman Khan's Dabangg bagged the maximum nominations for the second edition of Global Indian Music Academy (GIMA) awards. Nilaanjana Bhattacharya is all set to jazz up Telugu film Duniya with her sensuous moves inspired by Munni badnaam hui. Munni Badnaam Hui, the smash hit item number from Salman Khan starrer Dabangg has created history by entering the Guinness Book of World Record. Munni Badnaam Hui won the `best song of the year' and `best item song' awards at Uninor Mirchi Music Awards. Malaika Arora Khan has been learning yoga for sometime. Kareena and Amrita Arora introduced her to it. Payal Gidwani has been training her. Revelers biased to Munni bash up cops who wanted to hear Sheila at a bar in Dindoshi; former were remanded to custody for a couple of days.